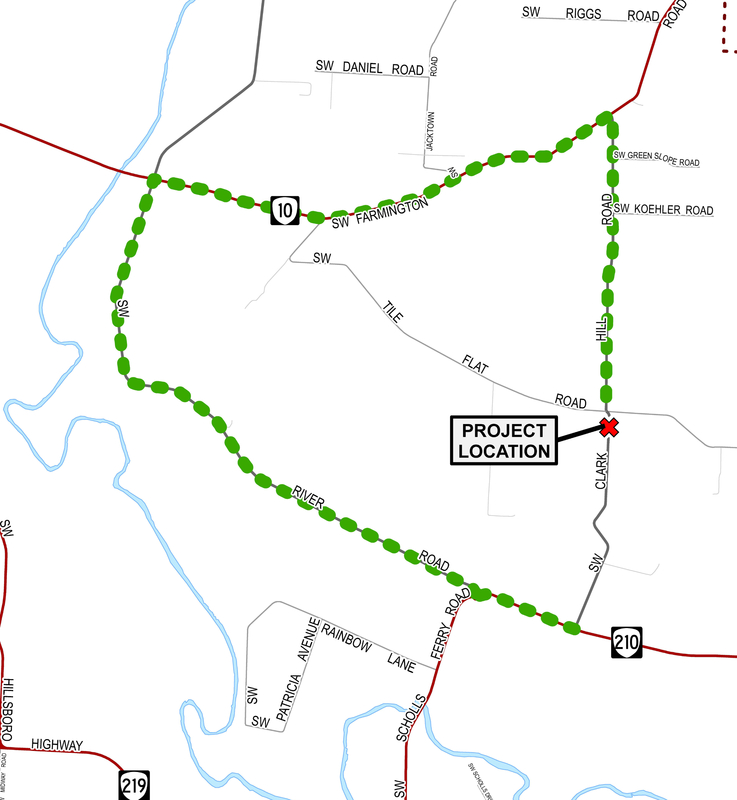 Clark Hill Road, south of Tile Flat Road, will close from Sept. 7-Oct. 12, for bridge replacement. All travelers must use the signed detour (see map) during the closure. The project will replace the decaying timber bridge with a wider single-span concrete bridge with guardrails. For more information, visit the project page or contact Washington County Department of Land Use & Transportation at lutops@co.washington.or.us or 503-846-ROAD (7623). For the latest road construction schedules, visit www.wc-roads.com. All commercial vehicles should follow the signed detour (see map) or use Scholls Ferry Road to Highway 219. Passenger and non-commercial vehicles may use other alternate routes, such as Scholls Ferry Road to Tile Flat Road.